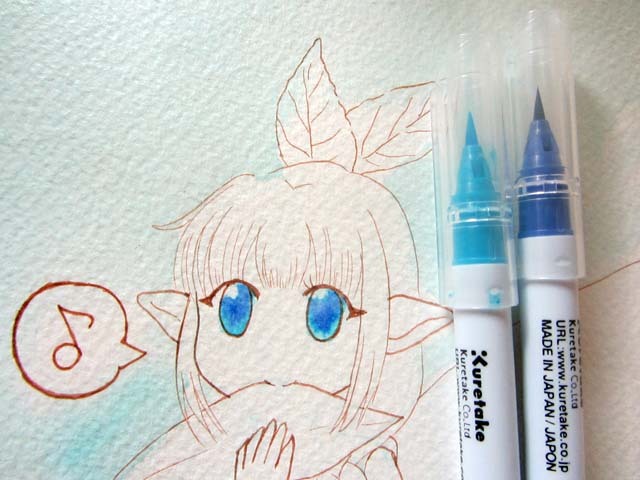 For the Japanese brush type color pen I introduced you on this blog the other day, one of my customers has sent us her review. 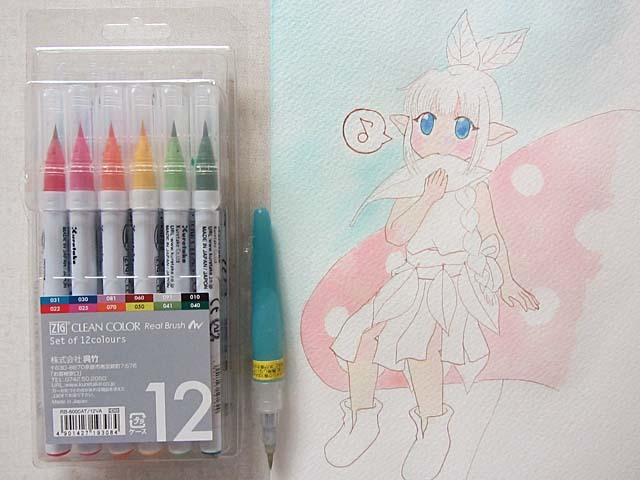 She likes to draw illustrations as a hobby, she tried these pens for her drawings. Can you guess how she used these pens for her artwork? On this article, I would like to introduce you how she used these pens, as her experience report below. 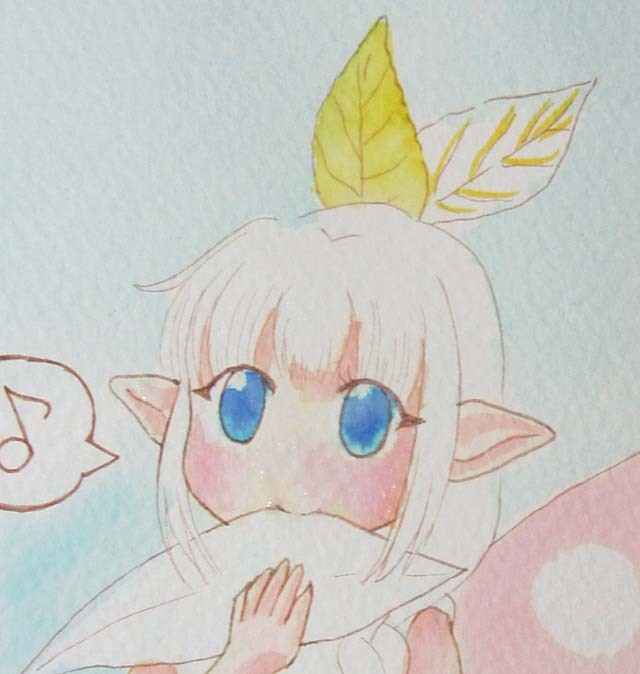 I have to admit that I had no idea that Kuretake had made watercolor brushes and I couldn’t wait till they arrived and set to try them out the moment they arrived! Foreword; The colours on the photos and the scans might not exactly match the products due to light issues! So first and foremost what are KURETAKE ZIG Clean Color Real Brushes? I was happy; bright and powerful when dry; still bright and translucent as I love watercolours to be when wet! In here what I did was make a line with a dry marker and then make a puddle of colour with a wet brush (brush having clean water). 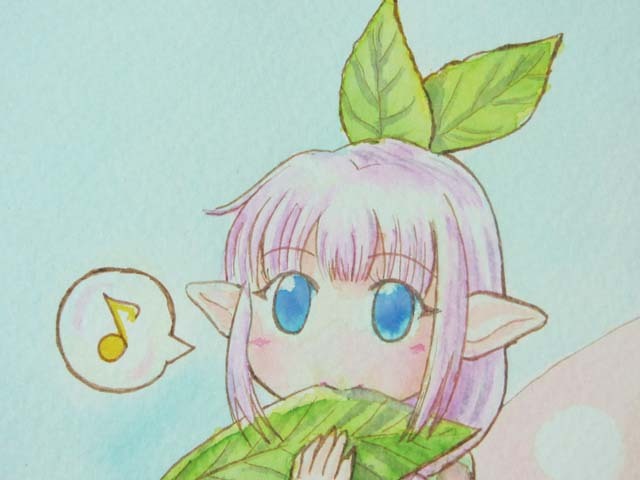 This can be seen clearly in the violet marker try. Now I have to say that, if one doesn’t plan on using them wet; they are great dry; both as calligraphy brushes and sketching brush pens. 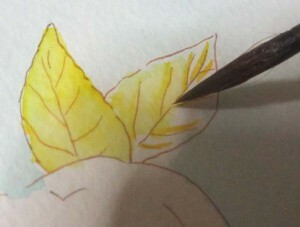 The brush points are thin enough to produce thin lines too. The points are not too soft and not too hard; this allows for an optimal springiness of point, good and easy hold and a nice overall line variety effect, just like medium hair length calligraphy brushes. I must apologize for the only-western characters try at calligraphy here. Furthermore the ink in its dry brush form dries quickly! One can erase pencil lines after 5minutes ( and I do live in a very humid environment). 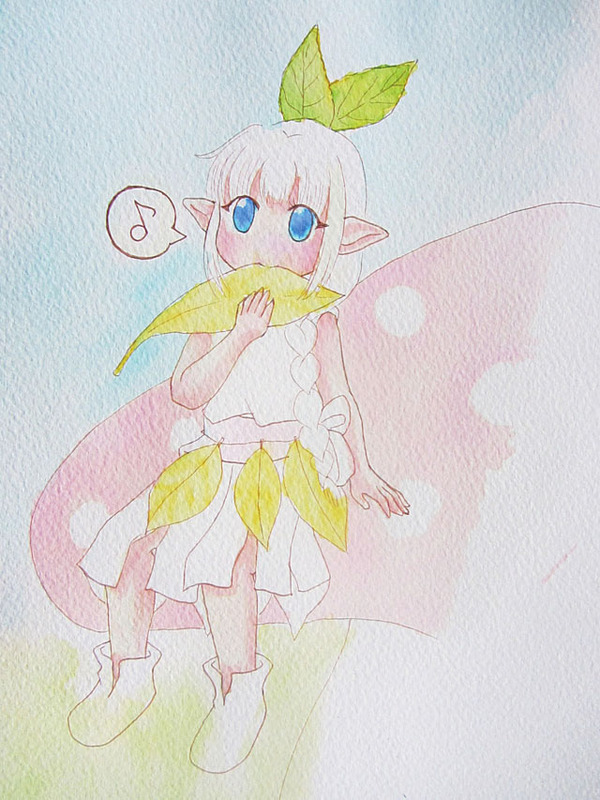 As a first try with these watercolor brush pens, I wanted to attempt soft/pastel-like coloring for this picture. This is just the table setup; markers, my ‘palette’, tissue and waterbrush. 1. My first step was to make the background colour; sky blue, for which I diluted the azure marker. I just drew a dot with it on my palette, and added a drop or two of water to make it more transparent and lighter and then with a medium brush I just painted over the sky part. 3. The mushroom red part and peach/skin colour; for the peach/skin I used yellow, red, little orange and some brown. I used the leftover peach with some more brown and red for the mushroom part (please see photo above). For the cheeks I just brushed some red while still wet. 4. I shaded the skin with a more concentrated solution of the skin colour, and brushed the leaves with yellow by using the brushes in their dry form directly on the paper and then just passing a wet brush over them. When the yellow dried I darkened with light green washes. 5. For the hair I used violet, pink and red mixed together and diluted. 6. To darken the hair I used the violet brush and then used the waterbrush to soften the lines. To darken the mushroom, I used brown, red and a little black. 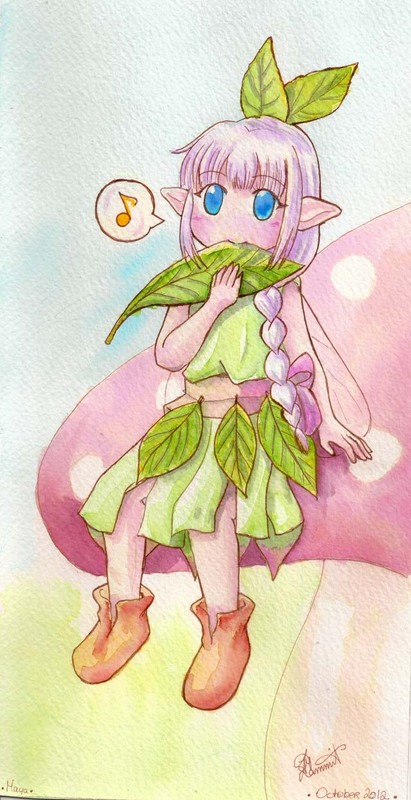 To darken/ shade the fairy costumes I used washes of gray. The finished scanned image can be seen below. I have to admit that I had great fun with the brushes! 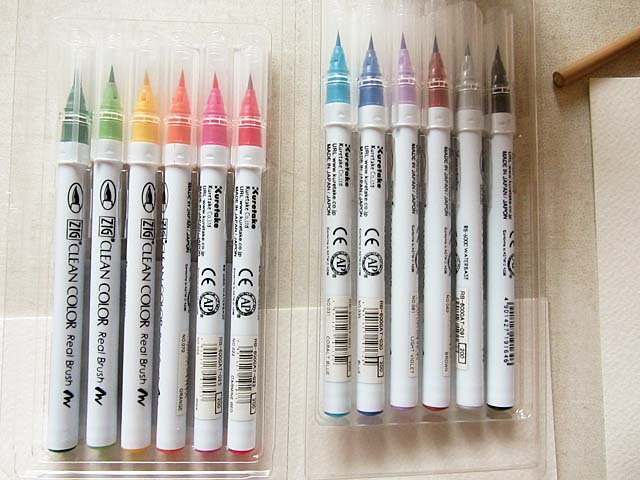 They’re fun, easy to use and so similar to watercolours! Easier to transport though and can also be used as sketching medium! The colour brightness is a + for me, it is something I love, as goes for translucency/transparency of colours! 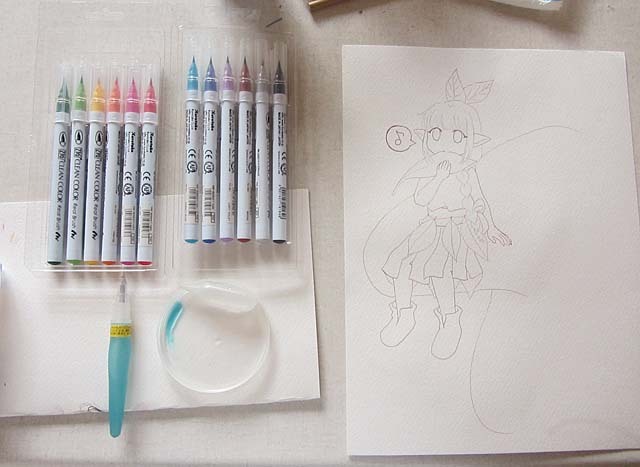 I’m so happy as a Japanese that the Japanese brush pens are used for illustration artworks in such way across the sea. 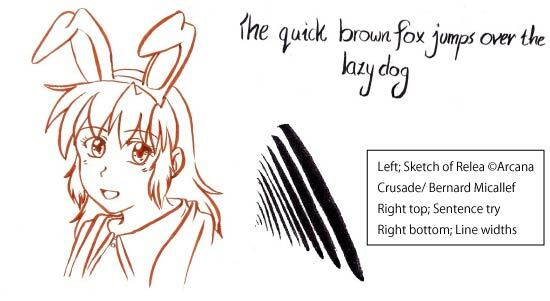 As she described above, these brush pens can make unique taste of drawings, which are different from simple ink brush or ballpoint pen, I think they are really good for illustrators and cartoonists. I have also 60-color set available, so please try them and enjoy.